It’s with great enthusiasm that I share news of our expanded partnership with Google Fiber Charlotte. 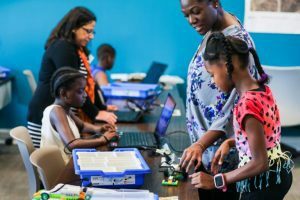 This year, in addition to sponsoring The Swarm, our competition programming and robotics team, Google Fiber is the presenting sponsor for four Code-In events! 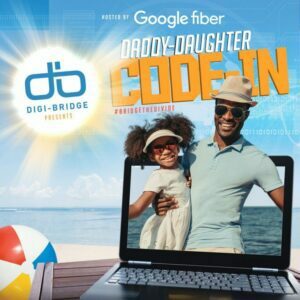 This first Daddy Daughter Code-In (#DDCodeIn) of 2018 will be held at the Google Fiber Event Space from 7 pm-8:30 pm on Saturday, June 2nd. We will have fun in (and with) the sun. If you’ve attended a Code-In before, expect more of the same great STEAM experiences with a few really AWESOME new additions. Of course, there will be cotton candy. Only 35 duo tickets available, so snag your tickets today! While we are making progress to ensure women are represented in STEM, a 2017 jobs report reminded us of just how much work needs to be done. 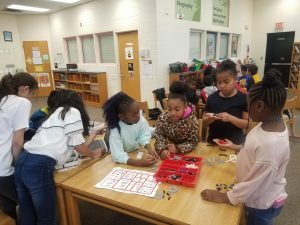 We learned that while women fill 47 percent of all U.S. jobs, they only hold about 24 percent of STEM jobs. Likewise, women constitute slightly more than half of college educated workers but make up only 25 percent of college educated STEM workers. 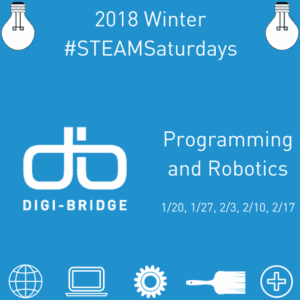 It is stifling statistics like these that Digi-Bridge intends to shift not only to support females, but also to stimulate technology growth on a universal level. 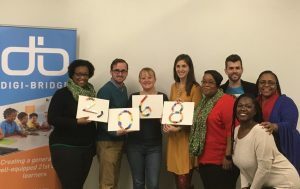 Digi-Bridge is excited to host this community event at Google Fiber’s home here in Charlotte. This evening is an opportunity for young ladies and the important men in their lives (fathers, brothers, uncles, cousins, grandfathers, role models, etc.) to connect and explore technology. 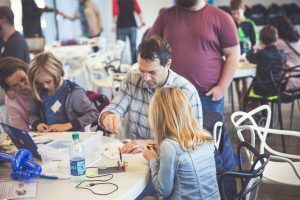 Much like a traditional “Daddy Daughter” dance, the Code-In will be an event filled with food, music and fresh tech-centric activities. 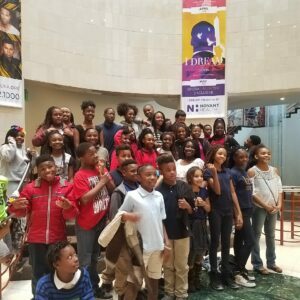 Digi-Bridge knows that girls code, too, and looks forward to supporting and encouraging the next generation of female leaders in STEM. Looking forward to seeing dads and daughters on June 2! That link once more is www.digi-bridge.org/events.